Many of us are looking for ways we can trim a little fat from your budget. 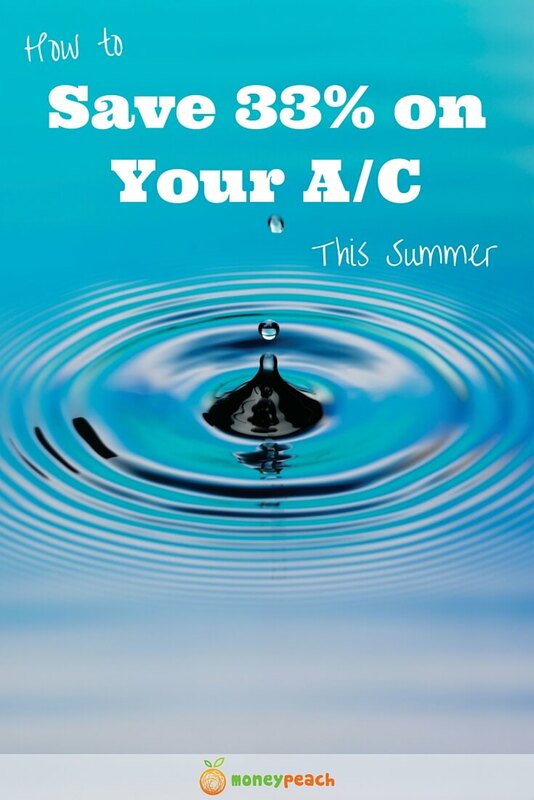 Have you thought about how you can save money on A/C? No, I’m not talking about being miserably hot this summer to save a few bucks. 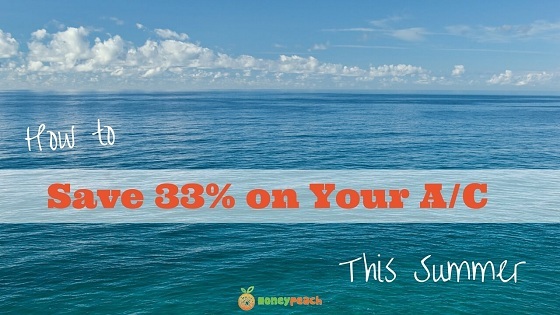 I am talking about something you can do today to start saving you up to 33% each month and even cooling your house more. It all happens at your thermostat. Here in Phoenix, Arizona, where the sun is out 99% of the year and the average temperature in the summer months is over 100°F. It is literally so hot, you can crack and egg in the street and it will cook (please don’t eat it). Last fall I stumbled upon this wacky idea about cooling my house down to 74°F and saving money! We are on the Noon – 7:00PM Time Advantage Plan offered from our utility provider in Phoenix. This means we are on peak for those 7 hours, so we limit the usage of our major appliances. Set your thermostat to 80°F from Noon – 7:00PM and 74°F from 7:00PM until Noon the following day. These things used to be pricey, but you can find them the cheapest on Amazon. They are also extremely easy to install, but just in case you may want to make friends with your handy neighbor (the one with all the cool tools). If you would like an easy and colorful Thermostat Guide you can print off and hang up as a reminder on how to do this, I will email one to you. It will make your life easier when you are away from this blog post and can’t remember exactly what to do. Click button below. How Does This Actually Save Money on A/C? The goal is to get your unit to turn on and off less. You just did this by adjusting your thermostat to the settings above. The unit turns on after sunset and runs for a while. Your house was at 80°F and it’s bringing it down to a cool 74°F. This may take a while, but remember it’s going to be on continuously. The next day at noon, your thermostat goes back up to 80°F. For the next seven hours, your unit may only turn on once because your house will slowly warm up to 80°F. Also, this is the most expensive time of the day (on peak), so this is double savings – not powering up as often and staying off during the most expensive time of day. Why we are on the topic, here are some things you should be trying out to save money and to make your life easier. Equalizer – Most utility companies have a program where they average out your monthly usage over the year and then use that average to keep your bill the same every single month. This will help you out tremendously when you are trying to do your budget.Before we did this, we would have to look back from the previous year and guess on how much electricity we would use for the upcoming month. Now we know to the penny how much our bill will be each month. 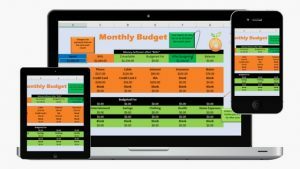 When you are using the Money Peach Spreadsheet Budget, utilities are now moved into the orange part of the budget that remains the same each month. I like simplifying my life and money. 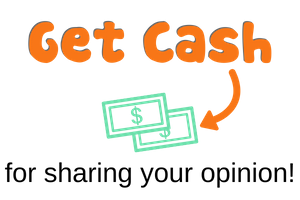 Do You Cash Flow Plan? 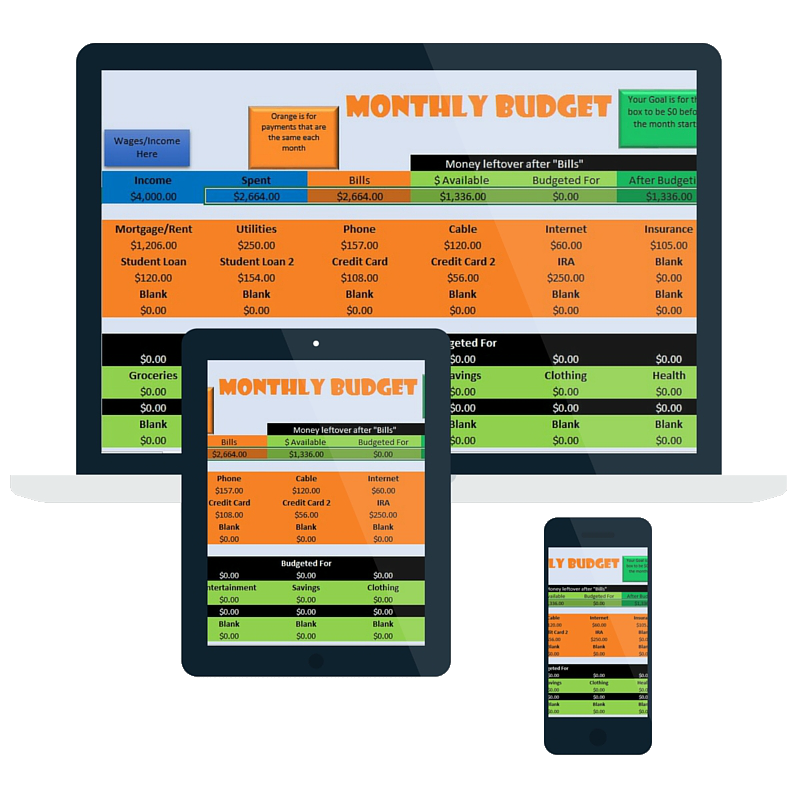 Let me send you our most Powerful Budgeting Tool and even show you get started! An individual product draws relatively little standby power, but a typical U.S. home has forty products constantly drawing power. Together these amount to almost 10% of residential electricity use. If you are looking to save money and cut back on CO2 emmissions, unplug what you aren’t using. Television related equipment (cable boxes, DVRs, DVD players) and computers draw the highest percentage of electricity – start there. Look for the Energy Star – If your appliance is working fine, there is no sense in buying a new one. I am trying to save you money. However, if you NEED a new washer, dryer, hot water heater, oven range, or refrigerator – look for the energy star. These appliances were designed to save energy consumption for the environment, with a side effect of saving you money as well. Double win! KPHO CBS 5 and KTVK in Phoenix, Arizona asks Money Peach how “Super Cooling” Saves Money. As always, I first want to say thank-you for reading this blog because this means you are reaching for awesome with your money! I will keep putting content out there for anyone to gobble up and implement right away, however if you could help me out by sharing this post on your favorite social media platforms, it would mean the world to me 🙂 ! Just click on any of the social share buttons at the top or bottom of this post and you’ll be giving me a virtual fist bump, high-five, and a pat on the back. Love this! Bryan and I are on the 12-7 plan too. I always wake up and turn our thermostates up to 80 but it makes more sense to keep it at 74 until noon!!! We will be purchasing programable thermostates ASAP and enjoy the savings and cooler house!! The bill on a house that size will always be high. Do you best to keep it low, but if you truly can’t afford it, you may need to call the utility company or think about moving to a smaller home. The Jetliner analogy is total BS. I looked at my electric bill and out peak hours are 9:00-9:00. What am I missing? If you are with APS, that was an older time advantage plan they don’t offer anymore. If you were in it before they phased it out, then you’ll remain in it. We were on the 9am – 9pm plan too, but since I knew we would want to start cooling our house BEFORE 9pm, we moved to the noon – 7pm plan. If I am in your shoes, I’m moving over to the noon – 7pm plan and using the 74°F and 80°F temps for noon and 7pm. Great question Sean! We do something similar with our AC. Everyone always asks, “Won’t that burn out your AC unit?” when they hear what we do? I like your description on why it works and will have to make sure I link back to this from my post I made a few weeks ago about it. Thank-you Michelle for your comment and for the link back to MP. That is very cool of you! I’ll be checking out Fun on A Dime today! I love having a programmable thermostat! It really does make a big difference. I am an Arizona native, and still haven’t mastered the summer electric bill. Reading this makes sense.. My husband and I are comfortable at different temperatures so he will be very pleased knowing 74 is an option! Love what you and your family do! Hi I also live in AZ. I love this idea, and think it would be very helpful. I called my electric company and unfortunately they don’t do this for us. They charge a flat rate for any time of day so it doesn’t make a difference. Bummer* I do appreciate you sharing this tip and all the others with the rest of us. I found this page just last night and I’m already loving it! Oh no! That’s a bummer. Thanks for sharing and If you don’t mind, what part of AZ do you live in? Also, thank-you for reading Money Peach! How would you do this is your house has 2 units? Set them both on the same program? What about Saturday and Sunday? We have 2 units also and we set them both the same. On the weekends, we pick a temp that is comfortable for us (75°F) because it doesn’t really matter – there isn’t a “trick” to save money on weekends or holidays. Great question and thanks for reading MP! I am always looking for ways to save money and saw your post on electricity. I was alway told it wasn’t a good idea to set the thermometer the way you are doing it but after reading your post it makes perfect sense. I am going to try doing this as we have a programable thermostat. We have a single level home about 2150 sq ft. How did you decide on 74 degrees to cool down to? And then how about the weekends? Do you keep it at a set temperature all day and night? We are on the same time savings plan with APS as well. On the weekends we set it all day at 75°F. We may move the temp around sometimes, but since there really isn’t a savings on weekends & holidays, we just wanted to be comfy! Great question. We decided on 74°F and 80°F because it was recommended to us by a friend, and because it worked right away! No need to re-invent the wheel 🙂 On the weekends, we set it where are comfortable all day long. Since there isn’t “On Peak” times during the weekends or holidays, just set it where you are comfortable. Enjoy the cooler temps and more importantly the smaller bills! I am always looking for ways to save money. We are on the same time savings plan with APS and utilize the Equalizer as well. I found your article interesting because we had always been told that it wasn’t a good idea to set the thermostat the way you are doing it. We have always had it set to 80 degrees to try and keep the cost down. After reading your article it makes sense to try it how you are doing it. Our home is single level, approx 2150 sq ft. How did you arrive at setting your thermostat at 74 degrees? Is that just your comfort level? 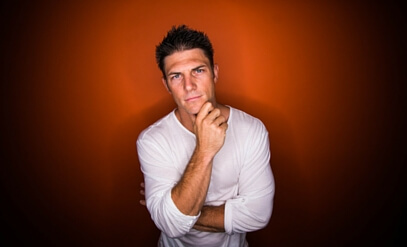 My husband will be happy with the cooler temperature because he is always hot! Thanks for what you do! I love the idea of actually being comfortable in my house with using the setting you suggested. I started using this a few days ago and we all have enjoyed the cooler temps. I noticed in your article that between 12 and 7 the house should stay cool enough to only kick on once. My house is an 11 year old, two story, 1810 sq ft and I noticed that the house warms up and the A/C is starting up again at about 2 pm and continues to run about once to twice an hour. We have other energy reducing practices in place (suncreens, Thermal curtains, etc). I realy would like to know if you would have some additional advise or know someone who can answer my question as to why the house warms up so quickly and whether this is an option for me. Peach, we live in VA and its both hot and humid here on the coast. I called our utility co. and our peak hours during the summer are 11am-10pm. We usually get home from work about 6pm. If we tried to switch to a time usage plan, how would you manage the temperature change in the evening? Yes! This tip is the key to lower electricity bills here in Phoenix in the summer. I take it a bit further though, as we have the old 9 to 9 plan (cheaper off-peak rates than currently offered, not giving that up) and I keep my house at 83° during the day, 72° at night and 78° on the weekend. I wanted to thank you again for this article! We started this July 15th. I got my new APS bill this morning and it is already $63 cheaper than last month. Wahoo! Nice work Charissa and thanks for sharing! ? Ours never goes lower than 78 degrees at night. Thank you for the article! We have a two story house and 3 a/c units, one of which is upstairs in my husband’s office above the garage (where it gets very warm during the day). I am assuming you would suggest doing the same thing for all 3 units…. 80 degrees from 12 pm-7 pm and then down to 74 degrees from 7 pm – 12 noon? If you put the insulation panels on your garage door… that should help a lot! These are some great money saving tips for air conditioning. I didn’t know that just by calling your utility company and asking about your plan could help save some money. That sounds like something that even I could do! Thanks for your post. I’ll have to try setting my thermostat at 80 from noon-7:00 PM and at 74 from then until noon. However, I would also recommend making sure the AC unit is in good working order. Things like changing the filters regularly, help the AC work more efficiently so it doesn’t have to be on as long. What kind of a heat and air system do you have? We have a heat pump. Not sure how that would work. We live in Arizona and have a HV/AC system. It gets up to 122°F in the summers here! Thank you Chris. Not only has your advise been very helpful, it’s the first time my family has actually been in control of our earnings. We particularly love the budget sheet, this seems to be working really well for us, and stopping a lot of arguments. But I also have to say I love your presentations and humour, we can relate so well to this and very easy to follow. Of the time. We generally keep our thermostat set to 70 degrees year round whether heat or air. I could see those settings being comfy in AZ. because it’s a dryer heat and it get really cool as the some goes down. But again…I’m skeptical about it in the Deep South. Thank-you for your comment! I 100% agree that Phoenix is a dry heat and you’re in muggy air which means the heat is actually much worse. With that said, try doing in on a 70°F – 76°F setting. The plan works NOT because of the actual temperature, but because you’re keeping your A/C from turning on and off 50 times per day. Also, I have others from the Deep South send me a few thank-you emails stating they saved money by tricking the thermostat like this 🙂 Good luck Abby! If your not on that plan with the electric company, you can still save money with this if you know the peak times right? I think so, if this applies in your community. Some don’t have peak and non-peak times. I am a HVAC tech for many years. We live in Arizona and summers can be brutal. This article is extremely informative. Especially with APS. My home is a 4-3, at 2479 sf with two units. Programmable tstats are the way to go and recommened. I will try the 75-80 rule. Even though every one has a different comfort zone, I believe the 75-80, may suit 90% of us. Thanks again for this article. Brilliant tips Chris. People are always looking for saving money on electricity during summers. In my opinion, if people can use smart air conditioner controller for their ductless ACs, they can save 25% on their AC’s energy bills. Even though, with their smart features, people can control their Air Conditioners from anywhere, anytime. I have tested few smart air conditioner controllers but found Smart and better features in Cielo Breez. And the best thing is that Breez is compatible with Amazon Alexa and the Google Assistant. No need to find your ACs remote, or set any temperature, simply use Breez through an app and enjoy. What more you want in your life to make it comfortable? I am intrigued by how much I am taking advantage of the device in my home. Hello! I’m in Arizona and just stumbled upon this article. Today will be the first day I’ll be trying this. Our AC unit was just replaced about 2 months ago. The house was built in 1996 and unfortunately it’s not well insulated not to mention the desert ground is always shifting (starting to see cracks in the walls). The house is almost 1400 sq ft. I’m with SRP and I’m on a 3pm-6pm plan. I’m thinking about lowering the temp to 76 during the day and 80 from 3-6 since the off-peak time is shorter. I have a question, I’d like to know leaving your therm at 74 til noon at what time does your inside temp reach 80 degrees and how many square feet is your home and are you in a 2 story? I keep my ac on 70 degrees between 7pm and 7am. The rest of the day I put it on 76. I live in southern Louisiana. Issue is that once the temp inside hits 76 the ac never kicks until night time when it starts to cool off. After I change the ac 70 around 7pm it takes another 3-4 hours to bring down the temp 70. I have both a central air unit and a 10000 btu window unit in the room the thermostat is in (which is the living room). 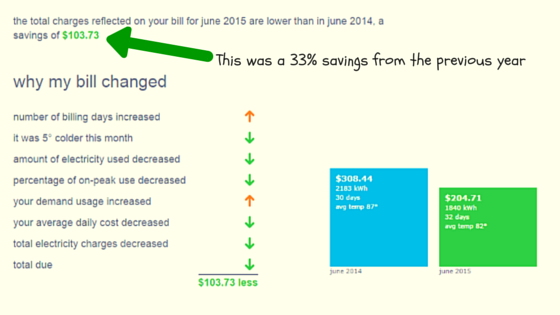 My June bill was 300 dollars and it said I used 124 kwh per day. Im getting discouraged. 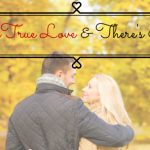 There’s True Love & There’s Money What is Personal Capital and Why Will You Love It?